The window covering solution you need, with the look you want to celebrate your next special milestone. This Redi Shade Original Birthday/It’s a Girl Event Shade allows you to mark a special day in style. The shade filters light from a window, while adding a festive element to celebrate the occasion. Trim this pleated shade at home for a perfect fit, then install without any tools no drill, screws or brackets needed. 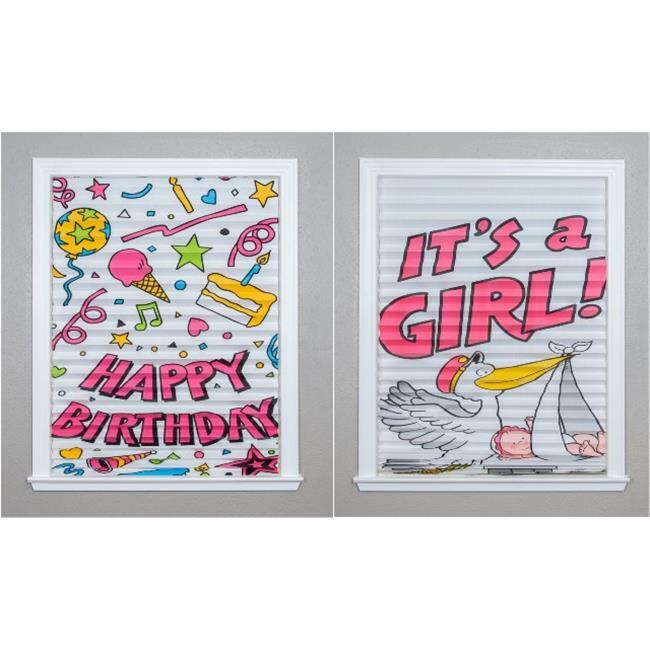 This four-shade set is made in the USA of durable paper and includes one It’s a Girl shade and three Birthday shades.